Currently, there are debates in the mix about raising the social security retirement age. However, researchers argue that this should factor in health trends for those people reaching retirement age as well. Ten years from now, Americans who were born in 1960 will be eligible to start collecting a full social security retirement change. A federal retirement change enacted in 1983, enables them to get the social security benefits two years later than their parents. However, today’s pre-retirement generation already indicates serious health issues and limits on their lives, when compared with previous generations. The findings were the result of the University of Michigan team, looking at data from long-term health studies and funding acquired from the Alfred P. Sloan Foundation. 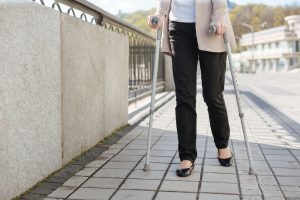 The study shows that today’s older employees will face greater challenges than their predecessors as they continue to seek out work and apply for social security disability benefits. Younger cohorts are now facing more serious health issues and in particular, as they will now have to wait until an older age to retire and do so in poor health. This could increase the chance of significant health-related costs. The researchers found that those people born later will have to wait a longer period of time to get full Social Security benefits, also had higher rates of memory and thinking ability problems than earlier cohort groups did at similar ages. Those people who were asked to rate their own health at age 50 said it was poor or fair in larger numbers than other age categories. One in four individuals had to wait until age 66 to claim full social security disability benefits and those who had fewer than 12 years of education reported at least one health associated limitation when they were in their mid-50s. Planning ahead for long-term care costs and talking about your retirement benefits in conjunction with your estate planning are both worthwhile goals.